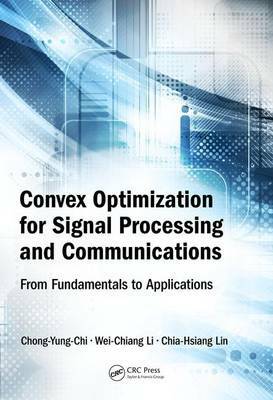 Convex Optimization for Signal Processing and Communications: From Fundamentals to Applications provides fundamental background knowledge of convex optimization, while striking a balance between mathematical theory and applications in signal processing and communications. In addition to comprehensive proofs and perspective interpretations for core convex optimization theory, this book also provides many insightful figures, remarks, illustrative examples, and guided journeys from theory to cutting-edge research explorations, for efficient and in-depth learning, especially for engineering students and professionals. With the powerful convex optimization theory and tools, this book provides you with a new degree of freedom and the capability of solving challenging real-world scientific and engineering problems.